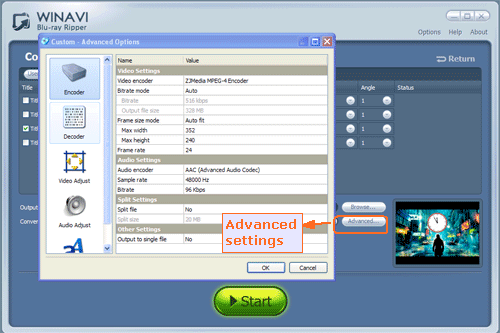 How to rip Bluray to iPod with WinAVI Blu-ray Ripper? 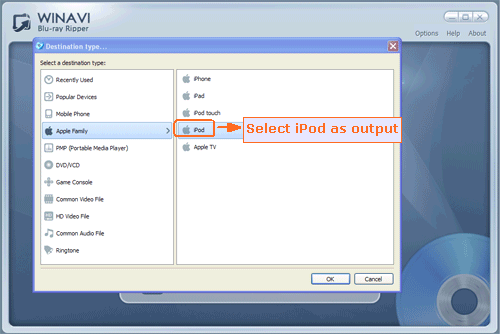 That's very easy if you use WinAVI Blu-ray Ripper, this program help you rip Bluray to iPod step by step and let you learn this tutorial quickly. Step 1: Free download WinAVI Blu-ray Ripper, install and run this program. Step 2: Insert a Blu-ray disc and launch. If Bluray file is on your computer, you can just drag them directly. Step 3: After the disc is inserted, you can click "Convert from Blu-ray Drive ", then the program will import all the Bluray titles. Also you can click "Convert from Blu-ray directory" or "Convert from Blu-ray Image File" button to load BD file. Then a small window will pop up and ask you to select the output format, here we choose "iPod" as output directly. Step 4: Click "Advanced " option to customize your video of output on iPod. Step 5: Click "Start" to begin the process to rip to iPod. You can click "Open the output directory" to check the converted file after Bluray to iPod conversion is end. Have you learnt how to rip Bluray to iPod? If you think it is easy, just have a try. How to change MP4 to WMV? How to rip The Smurfs Blu-ray? How to rip Blu-ray Cars 2? 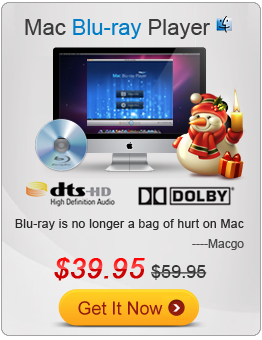 How to convert Blu-ray to iPhone?